This light weight Total Serum brightens and evens skin tone whilst moisturising and conditioning the skin. Formulated with unique actives which protects the skin from environmental pollution, regulating and retaining the natural moisture of the skin to prevent premature ageing, along with anti-inflammatory properties which assist in healing wounds. Skin looks brighter, softer and more supple. 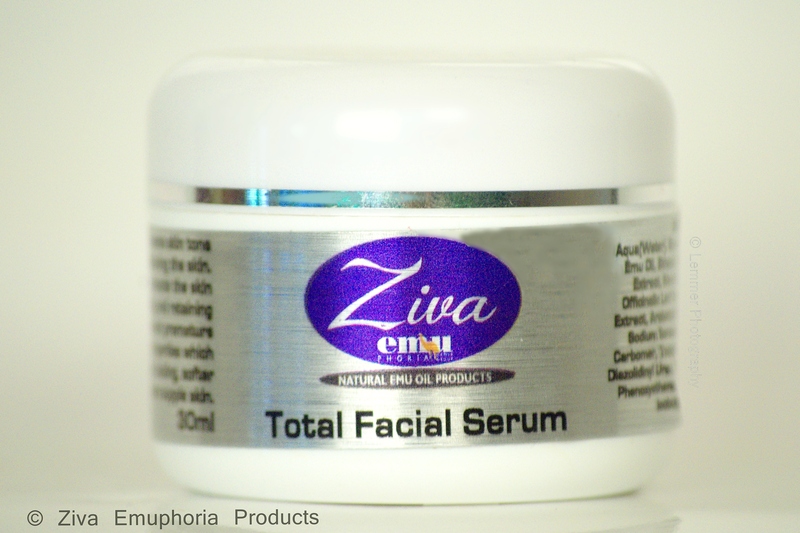 Emu Oil – Antioxidant with exceptional anti-inflammatory, healing and moisturising properties. Gigawhite – Brightens and even skin tone, assists in reducing age spots. Melfade J – Skin lightening. Vitamin E – Antioxidant – skin conditioning agent. Protects skin from environmental pollution, moisturizer, anti-inflammatory properties, prevents signs of premature ageing. Pentavitin – Regulates and retains moisture, reduce dryness and irritation. Glycerin – Assists in healing wounds, moisturiser, healthier skin. Humectant, which means the ability to help retain natural moisture. Soft, supple skin.